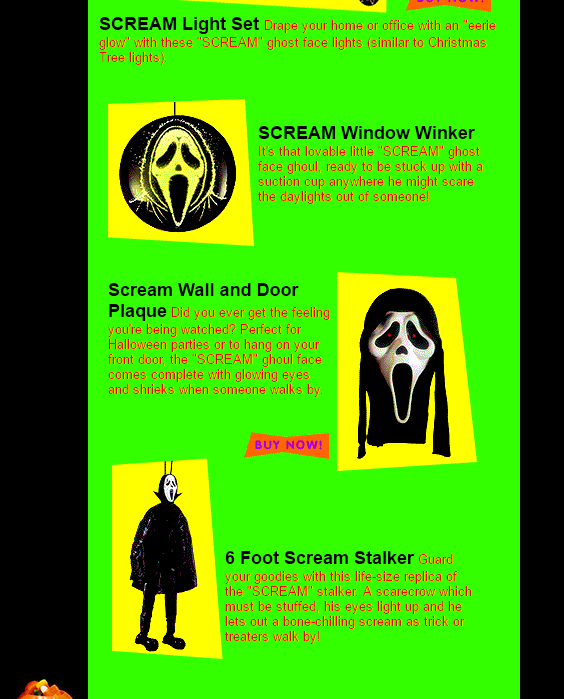 Revisiting the old Scream Stuff website! We're going to take a trip through time. All the way back to June of 2000. 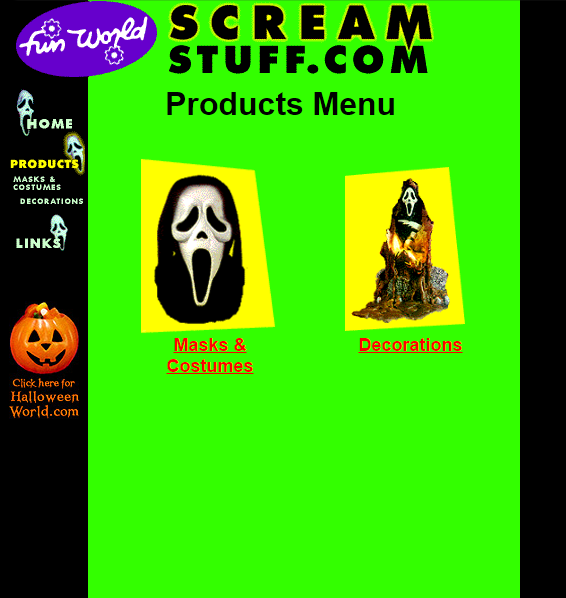 And we're going to visit ScreamStuff.com because we're avid Scream merchandise collectors. 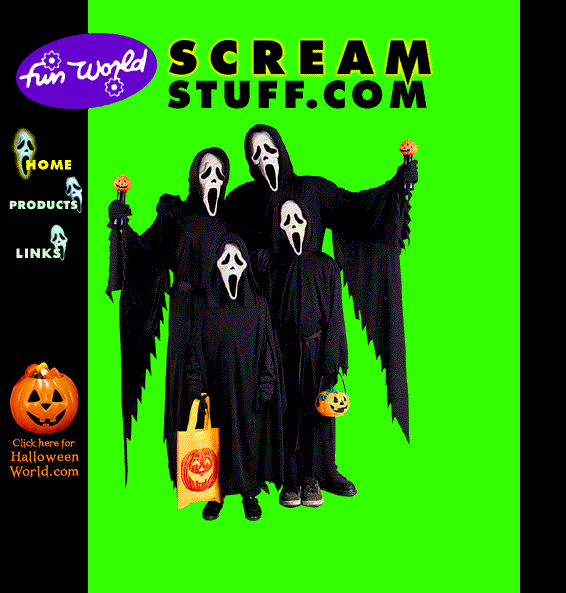 For those unfamiliar, Scream Stuff was Fun World's official website for their Scream products line. So let's go! 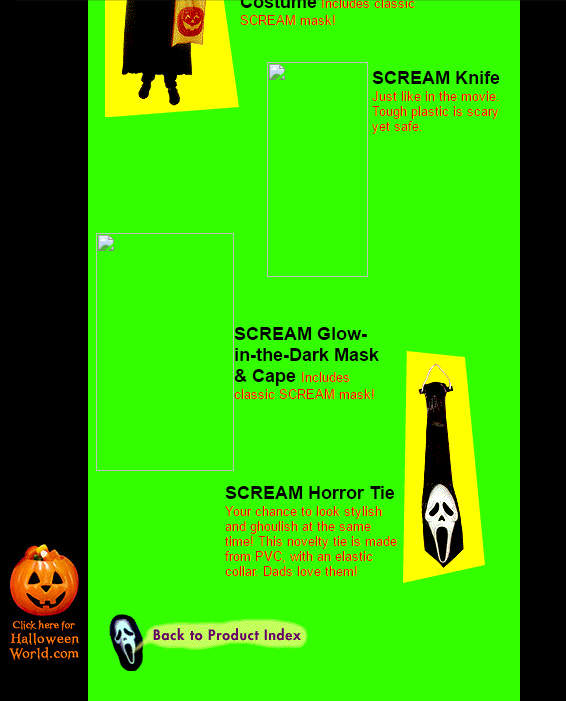 All of their Halloween goodies turned into plastic machetes! 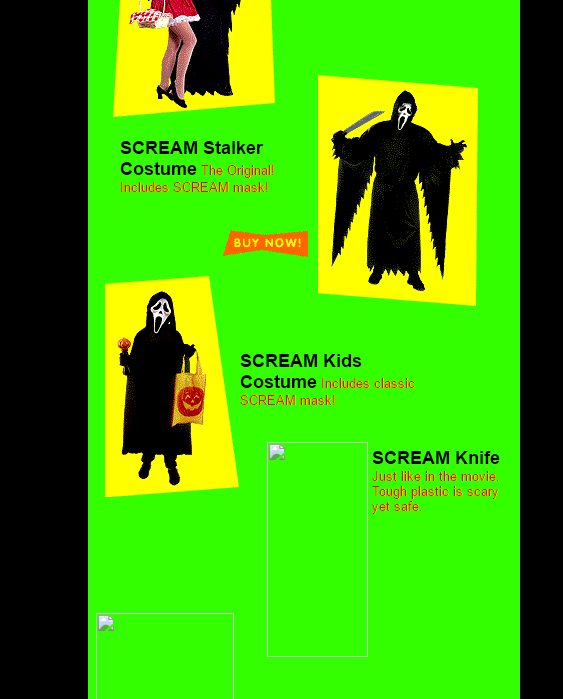 We're given two options: Masks & Costumes and Decorations. But there was also a third option on the sidebar: Links. Let's click Links. Oh! 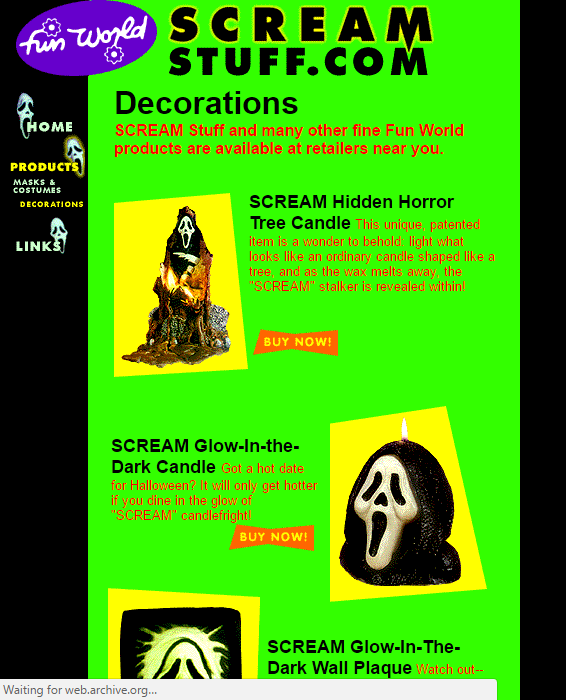 What do you know, it leads us to a list of then-official Scream websites: Scream Collection, Scream 2 Web Site and Scream The Web Site (we may dive into those later). 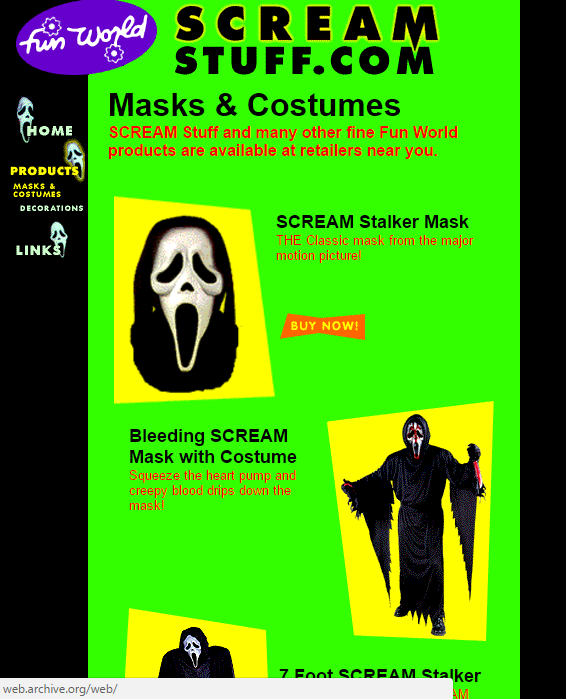 So let's go back to the products page and check out the Mask & Costumes section. 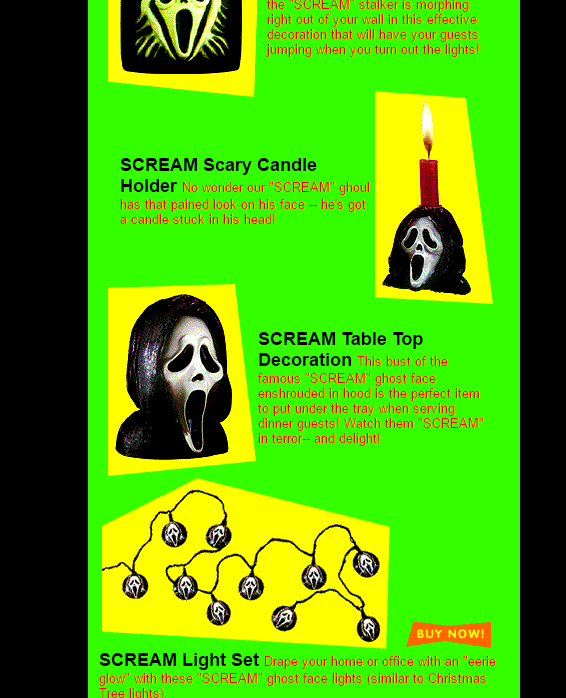 It's cool to see that most of these items from the Decorations page are now sought-after eBay items. Was it everything you remember? 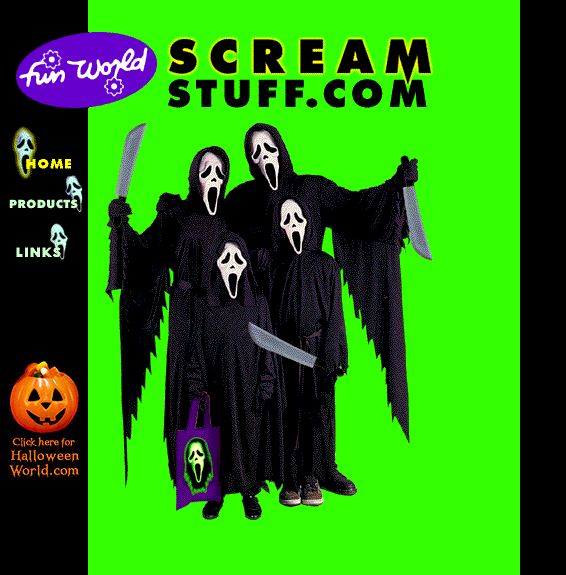 Though fairly basic and simple, Scream Stuff was always one of my favorite websites back in the day. Just looking at these screenshots brings back so many memories.